Masquerade is an art of transformation. Masquerades often occur at the changes of the seasons and rites of passage, such as initiation and death. They often maintain and express the secret knowledge of insider groups and only certain persons may be permitted to see them. With a few exceptions, the actual performing is a male activity and masks representing women are worn by men. Local traditions often relate that masquerades originally belonged to women but were taken away from them and can now be made and performed by men alone. 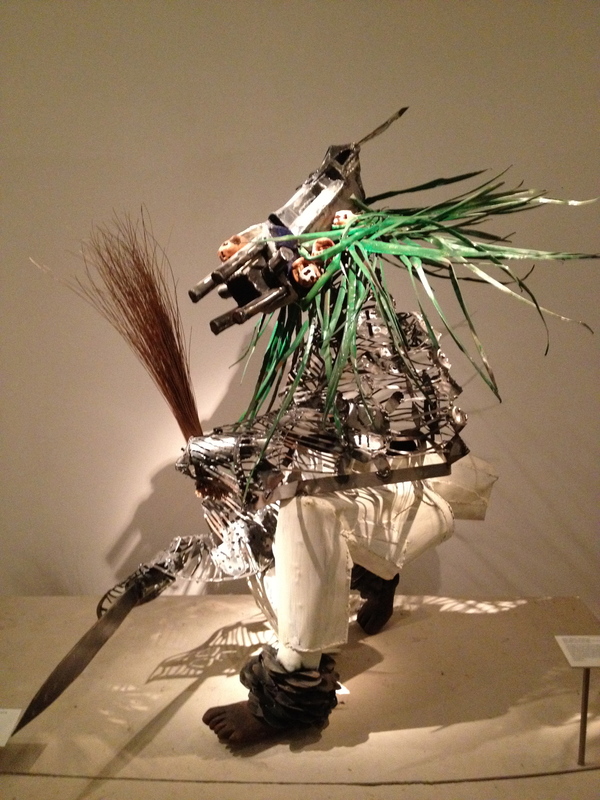 Masquerades uses many different material and techniques. Masks can be made of cloth, metal, basketry, leaves, plastic, resin, calabash, and clay as well as wood. Some masks are so powerful that they cannot actually be worn but are used to protect the masks the can. Beyond the artistic value, masquerade is a complex performance, involving not simply the face but body-costume, dance, dialogue and music. In performance, the actual headpiece is often obscured by secondary decoration and paint, or is invisible as the performance is at night, or is worn flat on top of the head and pointing upwards. At the end of a performance the masks may even be thrown away or burned while the decorations are carefully preserved for re-use.